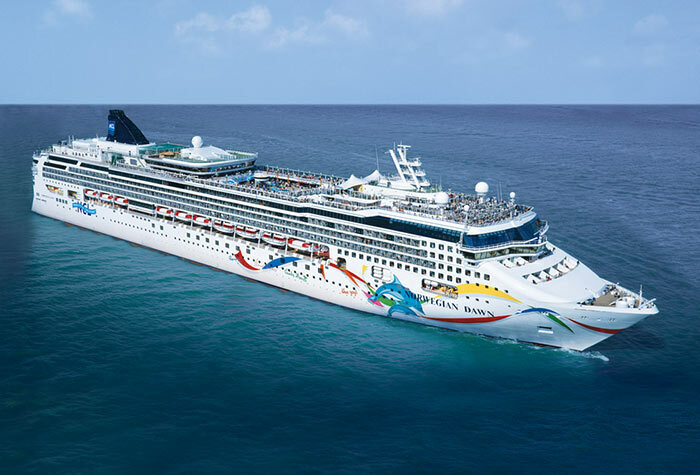 Norwegian Cruise Line announced it will now offer its popular sushi a la carte menu, currently available on Norwegian Epic, throughout most of its fleet starting today, September 16, 2011. The rollout does not include the Norwegian Sky. The extensive menu, which features sushi, sashimi, light appetizers and desserts, will now also be offered as a lunch option on embarkation and sea days.The new menu gives guests the freedom and flexibility to customize their dining experience by providing pricing per item with dishes averaging four dollars. Guests can select from a number of different appetizers such as edamame, miso soup or sesame seaweed salad. Sushi selections include such favorites as the Godzilla Roll, a tasty roll with sweet shrimp, mango, avocado, caramelized cashews and coconut; and the Dynamite Roll with yellowtail, salmon, green onion, and maki tempura style. Different variations of sushi and sashimi like yellow fin tuna, octopus and salmon are also offered. Guests can complete their meal with a dessert like green tea cake or fruit sashimi. The sushi a la carte menu is rolling out to the fleet this weekend, starting with Norwegian Dawn today; Norwegian Jade, Norwegian Jewel, Norwegian Star and Pride of America on September 17; Norwegian Gem, Norwegian Pearl, and Norwegian Spirit on September 18 and Norwegian Sun on October 5.